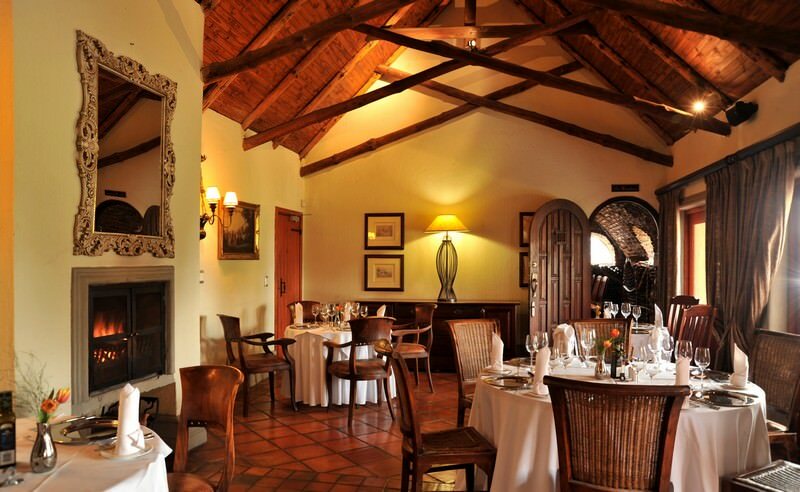 The Lombardy is a five star boutique hotel on the outskirts of South Africa's capital city of Pretoria. 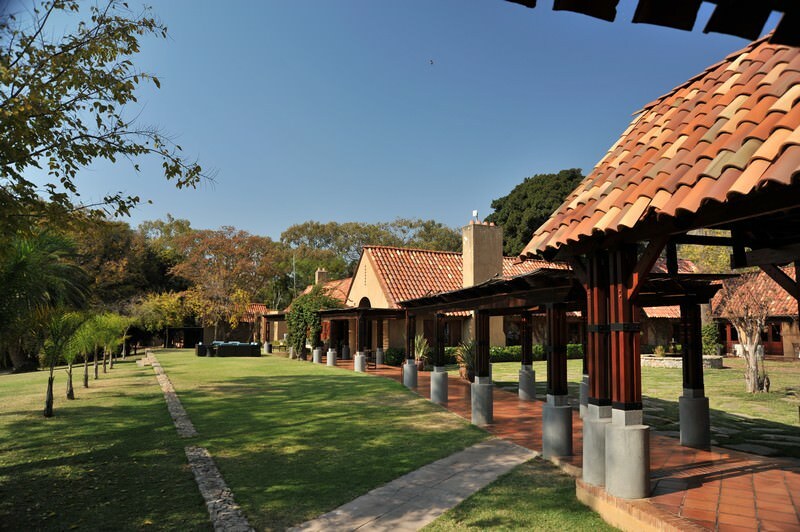 The Lombardy Hotel is set on a private estate to the east of Pretoria. 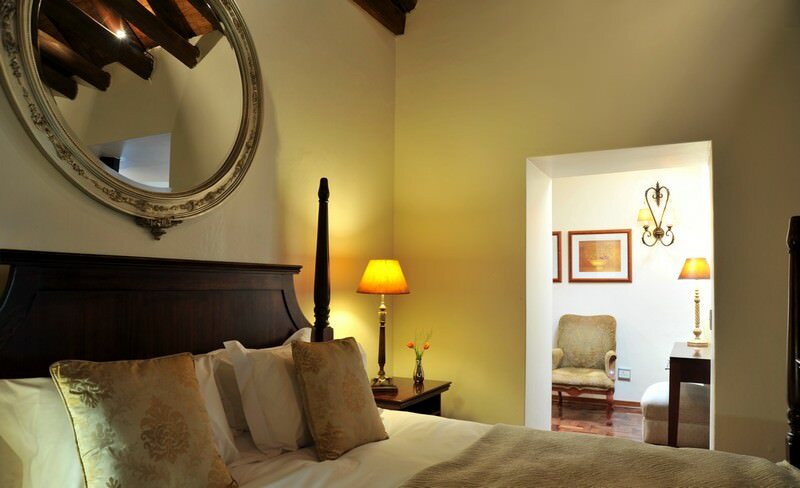 It is a classic boutique hotel, with an exclusive and peaceful atmosphere. This hotel has been a hide-away for actors, bankers as well as local and international ministers in government for years. 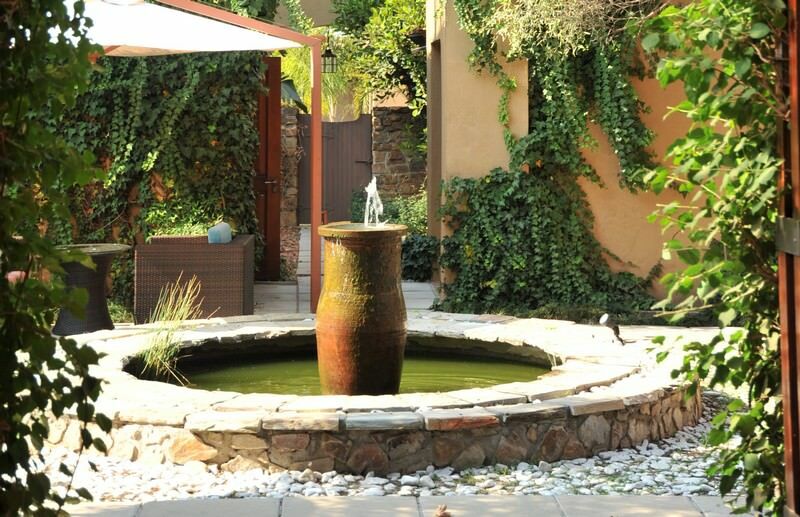 Tranquil gardens and Tuscan architecture endow this five star hotel with a unique and inviting character - the ideal accommodation for your luxury South African tour. The hotel's 16 suites have each been decorated individually to create a sense of originality, always with style and comfort in mind. 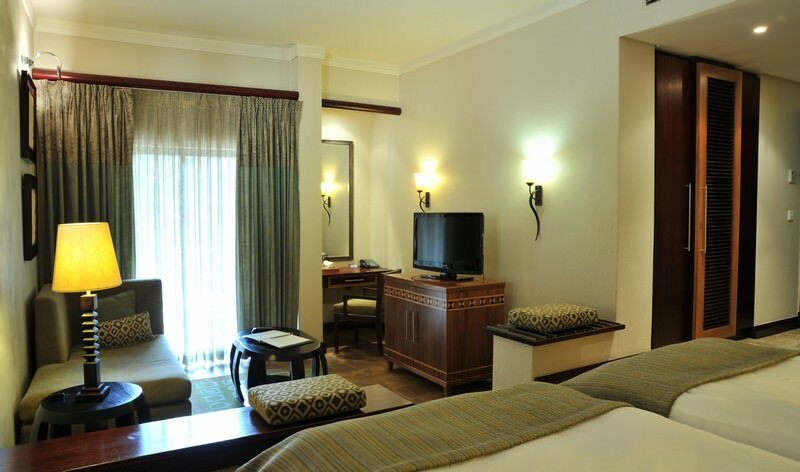 Suites are equipped with a mini-bar, air-conditioner, satellite television, in-room safes and wireless internet access. 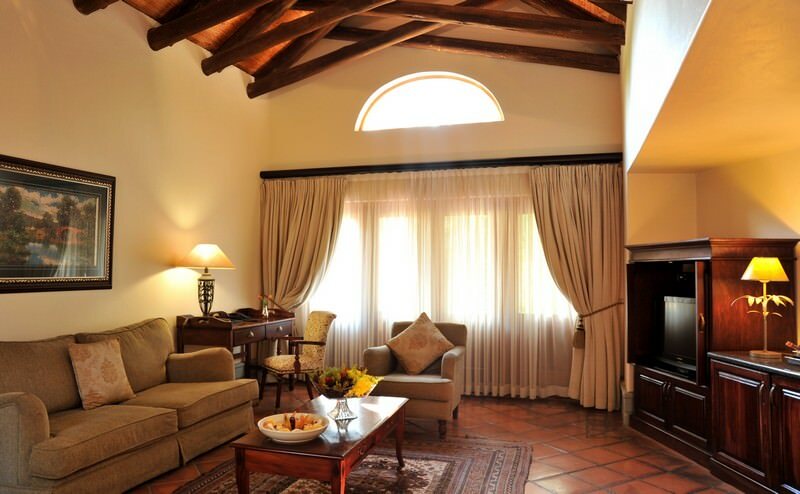 There is one executive suite that also has a sitting room, a lovely private garden, a jacuzzi and a fireplace. 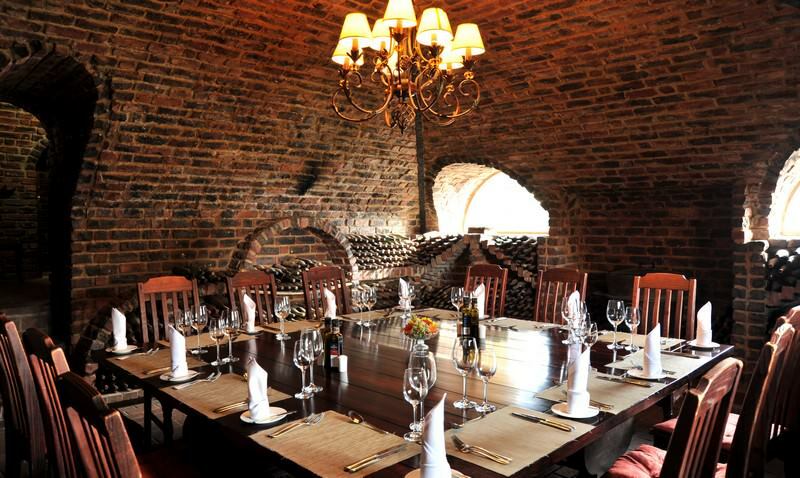 Public areas at the Lombardy Hotel include a couple of lounges, a wine room and function rooms. 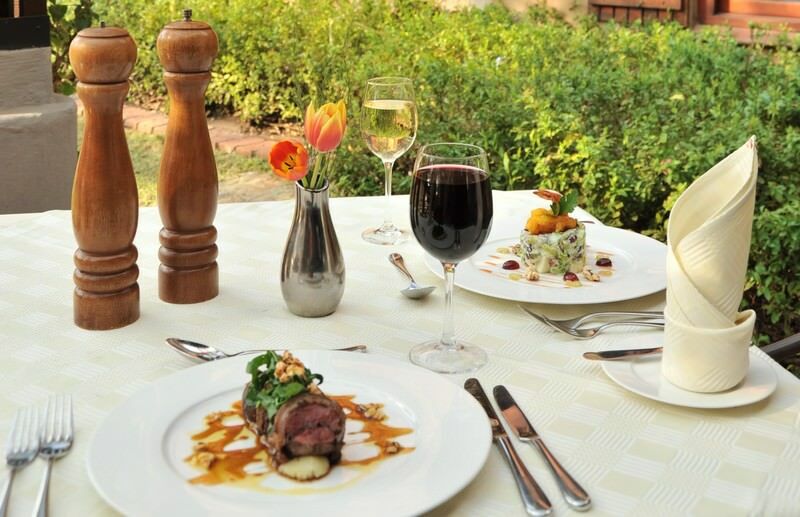 The restaurant on the premises serves meals of the highest standard in a comfortable and tastefully decorated environment, ensuring an all-round pleasant experience. 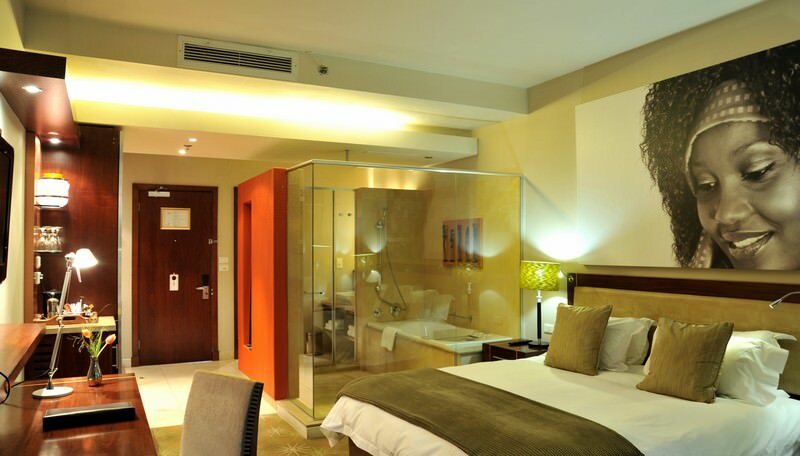 The Lombardy offers quality five star accommodation. 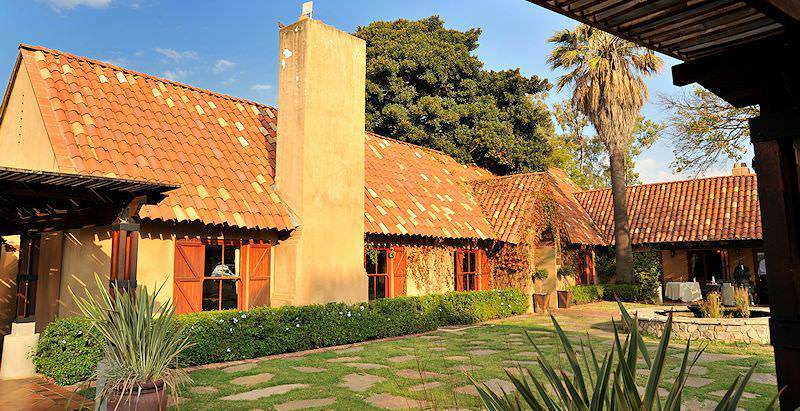 It is located not far from the office of African Sky Safaris & Tours. 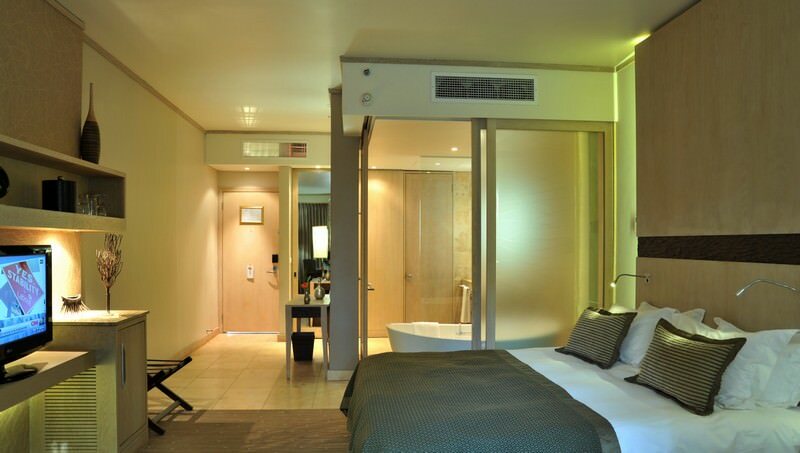 We have an exceptional rate agreement with this hotel and use it as an overnight destination for clients arriving in Johannesburg and departing to an exciting destination on the following day. It is much better quality than any of the hotels found at the airport, and is well worth the drive. 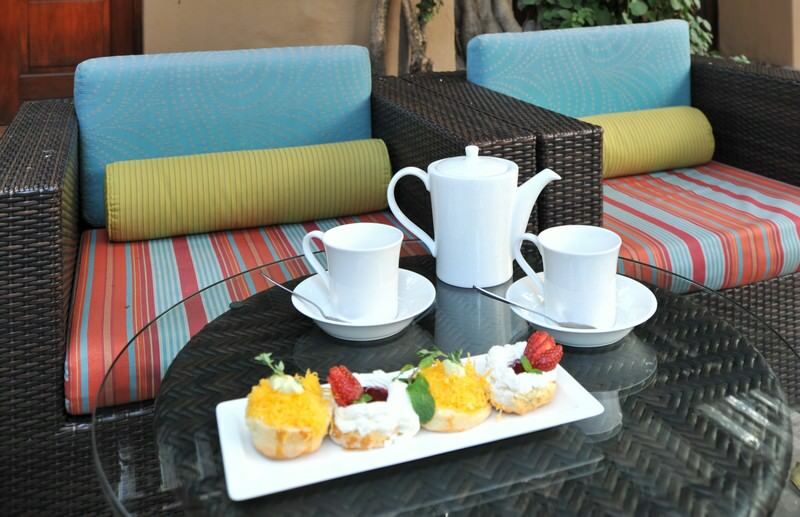 Great food and a tranquil environment make a stay at the Lombardy very enjoyable. 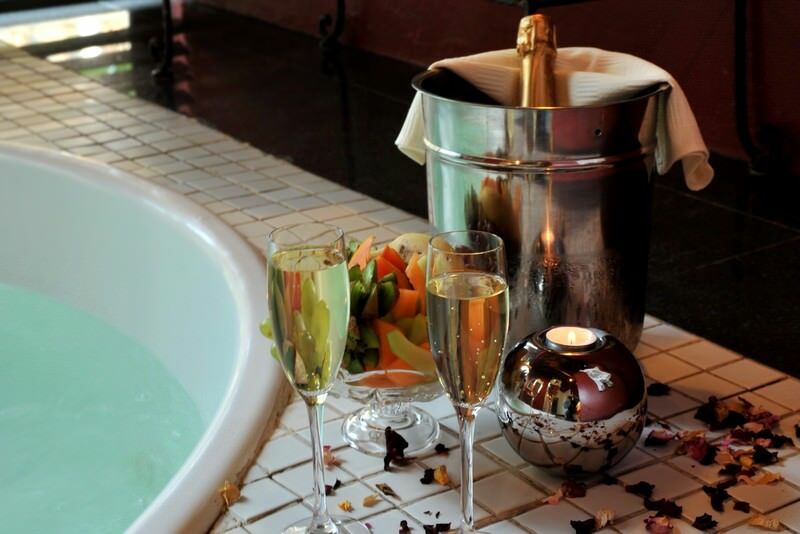 South Africa is an exciting travel destination with something for everyone. Botswana's safari areas are remarkably pristine and boast abundant wildlife. Namibia is a vast desert country with unique natural attractions like Sossusvlei. Travel to Zambia for an authentic African safari experience. Zimbabwe's view of the Victoria Falls is quite simply breathtaking. Mozambique abounds with natural beauty and tropical splendor. The Kruger National Park is South Africa's most sought-after safari destination, offering truly prolific game viewing opportunities. The Sabi Sand Private Game Reserve preserves 65 000 hectares of South African lowveld and borders the Kruger National Park. Cape Town is South Africa's top tour destination, including attractions like Table Mountain, the Cape winelands and Robben Island. The Garden Route offers wild activities like walking alongside cheetahs or elephants and exploring subterranean caves.